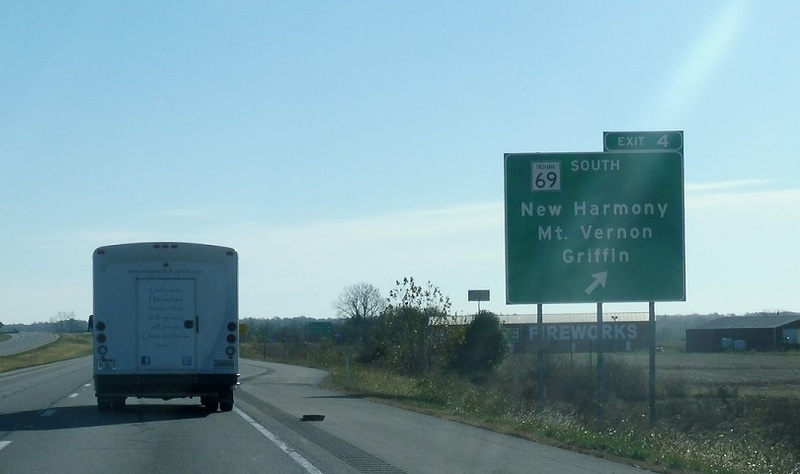 Welcome to the Hoosier State! 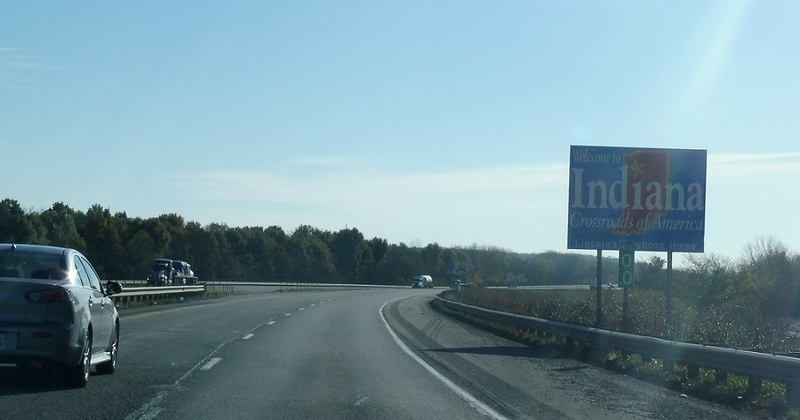 Indiana passive-aggressively reminds us that although Illinois is the Land of Lincoln, Lincoln lived in Indiana as a boy (though he was born in Kentucky). Reassurance shield as we enter Indiana. 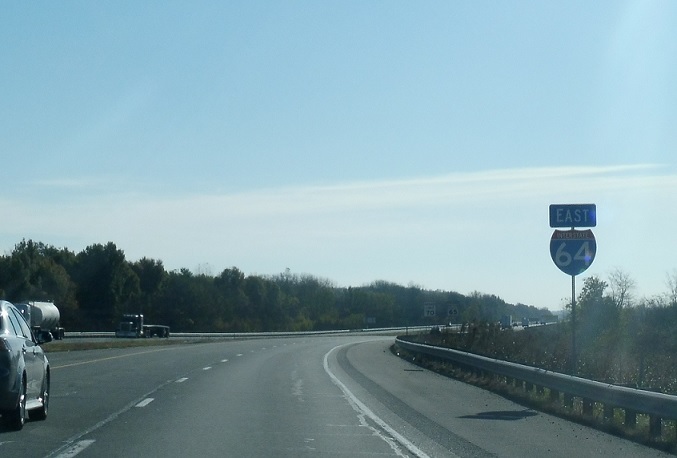 A few miles into Indiana, we’ll approach SR 69. 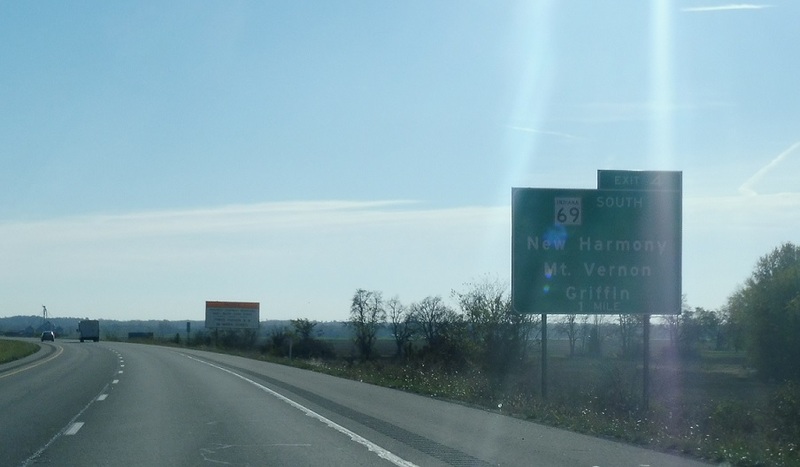 Exit for SR 69, which heads south to New Harmony and Mt. Vernon.